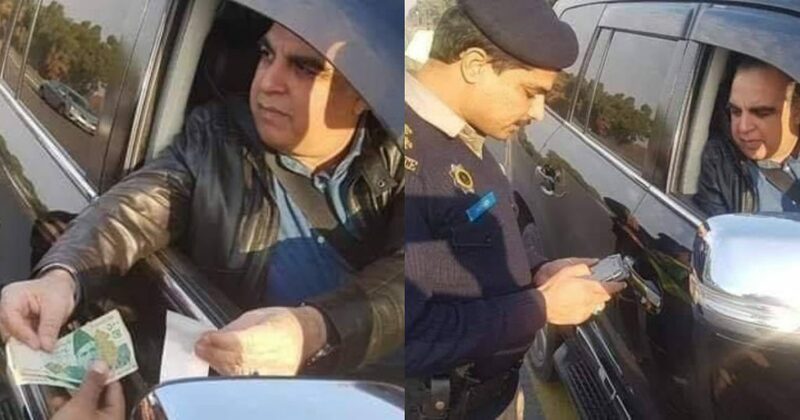 Imran Ismail Is Winning Many Hearts After He Paid His Fine For Over Speeding On M-2 Motorway! Given the situation of politics, last year it was nothing but chaos! Imran Khan was adamant to topple the “legacy” of Nawaz Sharif. It is sheer bad luck for the Sharifs that they have never succeeded in completing any of the tenures till this date. So, it happened again! Though they somehow managed to complete the tenure this time, Nawaz Sharif was asked to step down from the position of PM. Later, the nation was completely bewildered to choose the next Government which would rule them for the next 5 years. Election ’18 were conducted quite smooth, it was difficult to predict that who would win, but PTI came out victorious. What gave people hope was Imran Khan’s speech because it wasn’t a typical speech but more like a pep talk. Even the ones who were against him, loved his speech. People said that he sure is a good orator but will he be a good leader too? He introduced a 100 days plan and we were reminded of the Bollywood movie “Nayak” in which a young guy is challenged by the current PM to become one for 3 days and change the things if he can. He’s been quite successful in his plans but still, there are many miles to walk, a long way to go! Well, politics is almost similar to a company, like to run a successful business you’d have to build a good team. Imran Khan was being wise in that, he took ample time to build a team. Even on that, there were tons of issues, but now as things are taking shapes which were once only water and mud. People believe that Pakistan has some good future, which is now placed in the hands of Imran Khan. Speaking of Imran Ismail, he was seen being the “paka sacha Pakistani” and when he was fined for over speeding at motorway; he paid for it. He paid 700 hundred rupees and did not get away with like any other politicians that use their “VIP” card, but rather, Imran Ismail respected the rules and paid for what he did wrong. In this whole scenario, what was shocking to people was how come he had a photo while doing this? Wahhh! A biscuit to this guy for his comment! Well, this sure is a surprise that how come all of a sudden, when you are being charged for over speeding, your photo is being taken for your good deed. Too much nae hogaya? Imran Ismail sahb, shashkay toh bohat ala hain apke! Also, in retrospect, how many of you remember the awkward time of jalsa when he sang “Tabdeeli ae ray” and Imran Khan was getting super awkward? LOL! But he’s cute, isn’t he? What do you guys think about it? Let us know in the comments below. Cheers!